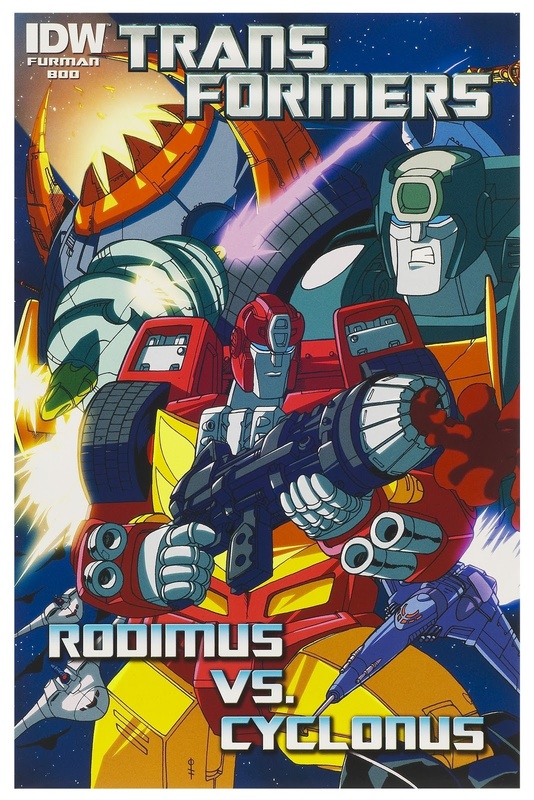 Lost in deep space and desperate to rendezvous with the other AUTOBOTS®, RODIMUS and his crew pilot their damaged starship through a forgotten part of the universe. 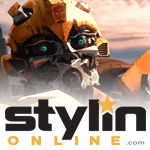 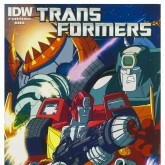 Their one hope is to avoid the DECEPTICONS® they know are hunting them. 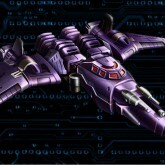 CYCLONUS will stop at nothing to destroy the AUTOBOTS. 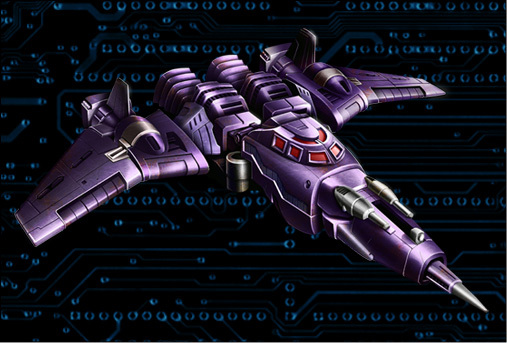 He will scour the cosmos for his prey, never stopping and never resting until RODIMUS and the others are nothing but blasted atoms. 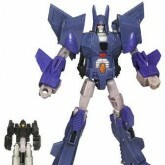 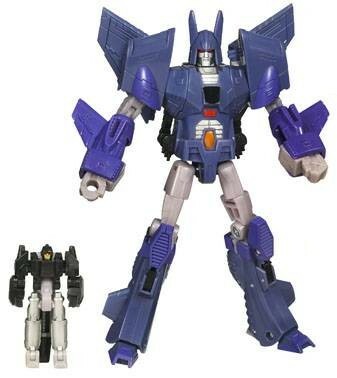 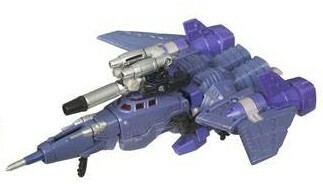 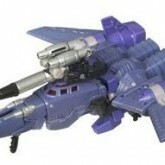 Largely unaltered re-release of the Challenge at Cybertron version of Cyclonus - the only significant difference is the addition of a heat-sensitive "shield" decal. 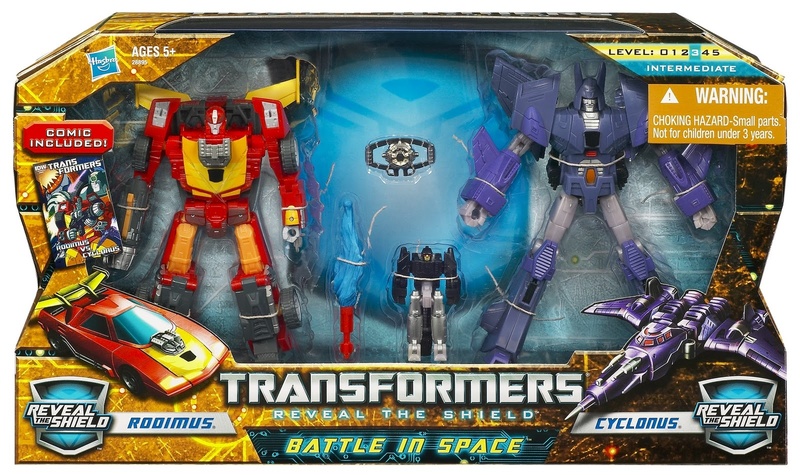 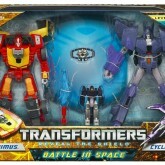 Sold as a part of the Battle in Space two pack with Rodimus, which also includes a special edition comic with art by Boo and a script by Simon Furman, and a bonus Matrix accessory.